Ranvet’s Yellow Lotion is effective in healing wound and promotes a dry surface. It is resistant to infection, without forming an undesirable hard crust on the wound. Yellow Lotion is a proven treatment for healing severe wounds and abrasions, granulating wounds, girth galls, rope burns, foot abscesses, inflamed bruises and sprains. 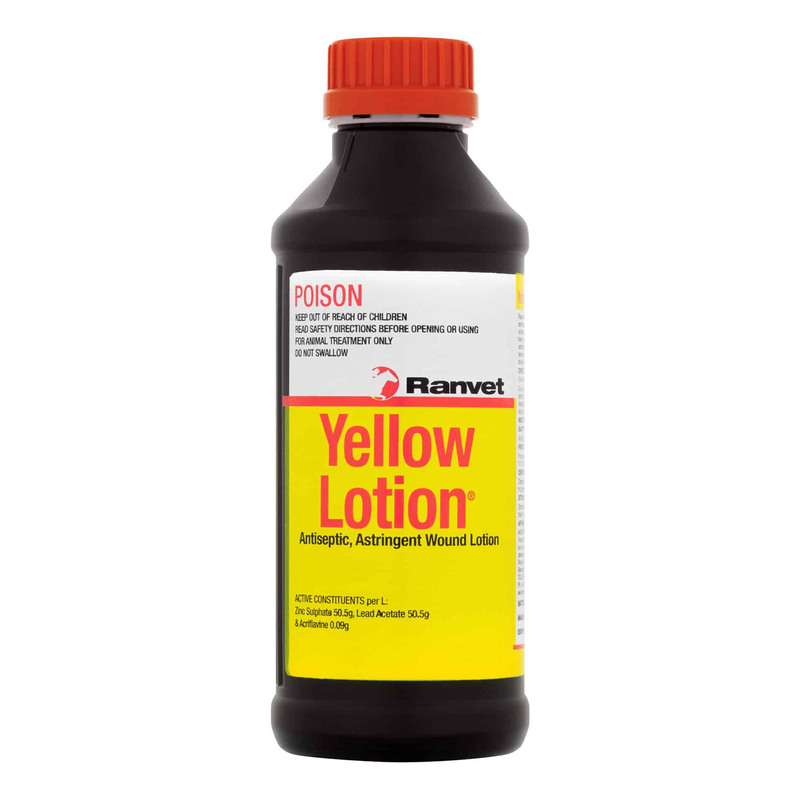 Be sure to flush the wound of dirt and debris before applying Ranvet Yellow Lotion. Soak pad of cotton wool with Yellow Lotion and bandage onto affected area. Areas difficult to bandage should be dabbed liberally and frequently, daily.